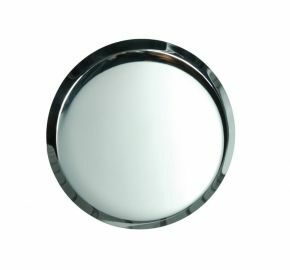 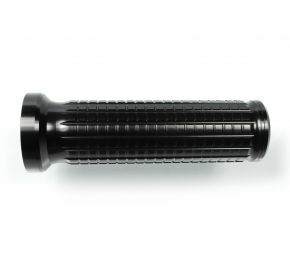 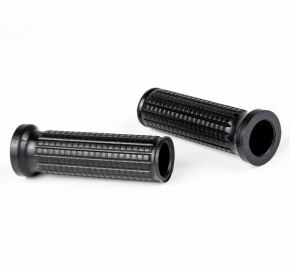 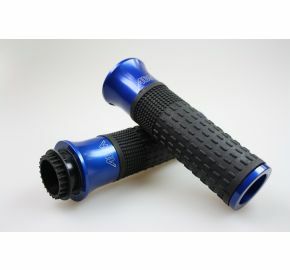 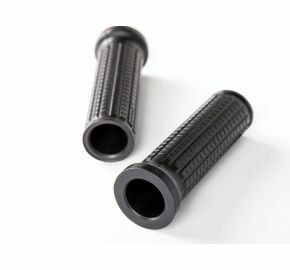 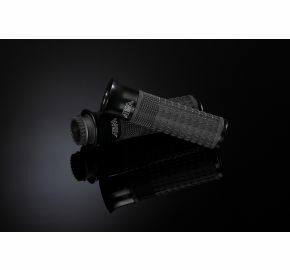 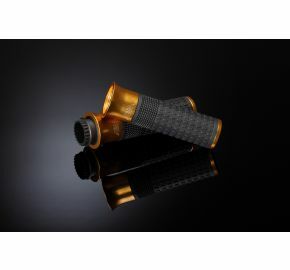 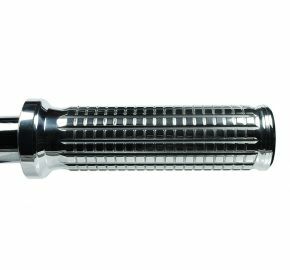 Anodized aluminum handlebar grips that feature a unique vibration reducing surface. 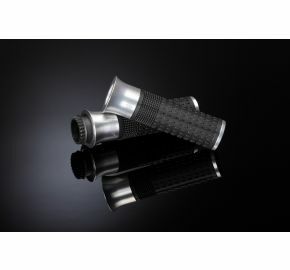 Each pair includes the clutch side and throttle grip with 3 different cable inserts. 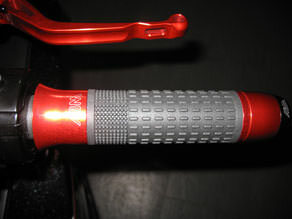 Fit most bikes with 7/8" (22.2 mm) handlebars.